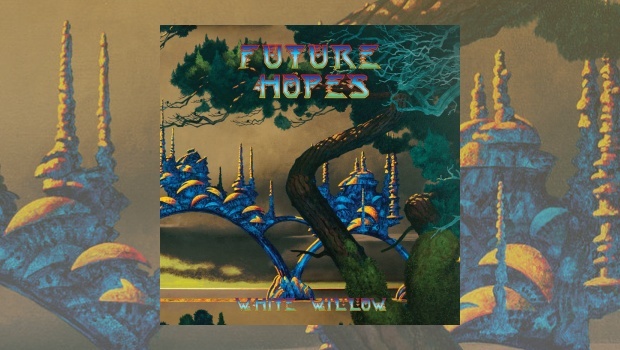 In a career that has so far spanned over twenty years, from their debut Ingis Fatuus in 1995 through to 2011’s acclaimed Terminal Twilight we are now ready to receive the seventh offering from White Willow, Future Hopes. 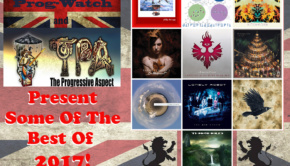 From prog/folk beginnings their journey has taken them through symphonic hard rock, evolving their vision to create what may have become the distinctive White Willow sound of Terminal Twilight; melodic, emotional, with occasional dark touches and odd time signatures, original music which has accessibility at the heart of it. Indeed, one quote I have seen states that White Willow is about “chiming guitars, Mellotrons and songs about sad people”, that said their music is not always sombre and it can be most beautiful and uplifting at times, painting musical landscapes in your imagination where you can almost see the stories unfold. Future Hopes comes with a cover designed by Roger Dean, which gives it an almost retro look. The album has been mastered by Bob Katz with mixing by several time nominee/winner at the Norwegian Grammys, Christian Engfelt, which has created a great overall sound throughout the album. The core players that recorded Terminal Twilight return but with the addition of Venke Knutson, known in Norway as a pop star with several top ten hits. Venke has worked with Jacob Holm-Lupo before in The Opium Cartel project, and her voice has a wonderful feel to it that compliments these White Willow songs. The album features five songs, all of which would fit nicely onto the vinyl format, but if you prefer CD you get two bonus tracks; a cover of The Scorpions’ Animal Magnetism which gets the White Willow treatment, complete with some wonderfully crazed clarinet from David Krakauer, which makes for compulsive listening, plus Damnation Valley, a beautiful piano and keyboard instrumental piece penned by Jacob. There is something of quality and interest in every song. The taster release and album opener is the title track. Future Hopes begins with keyboards before Venke comes in with her almost angelic, breathless vocals, the rest of the band joining with trumpet from Kjersti Loken. This certainly provides a bright start, giving way to the more stripped back affair that is Silver and Gold which uses an array of keyboard sounds, the focus being on Venke’s excellent voice. The album’s two epics are separated by the instrumental Where There Was Sea There is Abyss, an atmospheric track awash with keyboards and guitar provided by Ole Øvstedal. It has an almost sinister Sci-Fi feel to it which after its almost two minutes segues straight into the longest track on the album, A Scarred View, it’s eighteen plus minutes packed with a myriad of different keyboard sounds, ebbing and flowing towards an excellent guest guitar performance by Hedvig Mollestad. The song presents different sections and styles which flow seamlessly into one cohesive track full of wonderful melodies. The other epic, In Dim Days, clocks in at eleven minutes and is a slightly darker affair, reminiscent of some of the band’s work on Storm Season. Again keyboards feature heavily, the synths having an ominous tone that creates the dark and moody feel, but all is lifted by Venke’s haunting and captivating vocals, and another fine guitar contribution from Hedvig. The song continues to evolve and towards the end becomes somewhat brighter with some excellent flute from Ketil accompanied by the keyboards. Mattias Olsson’s drumming is excellent throughout ably supported by Ellen Andrea Wang’s bass lines, indeed all of the players are at the top of their game here. There is a lot of depth to Future Hopes which reveals more of itself on repeated plays; the songs have a natural flow which has been lifted to another level with the addition of Venke, her voice beautiful, haunting and melodic, giving the vocals a softer edge. This release builds on what they achieved with Terminal Twilight and is a further leap forward in the development of White Willow’s music, maybe more progressive with extended instrumental workouts. 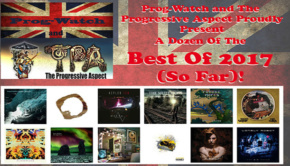 I would certainly recommend this album if you like the style of prog that is currently coming out of Norway but White Willow stand out on their own, their music paying homage to the classic era of prog whilst giving it a modern feel. They do not sound like anyone in particular and have forged their own trail, and have here presented us with an album of true quality.